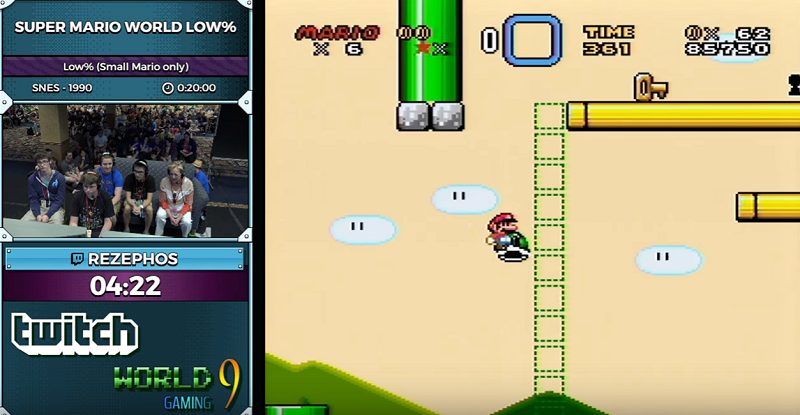 There were some remarkable speedruns at Summer Games Done Quick 2016, but this might be the most impressive: Rezephos blazing through Super Mario World without getting a single mushroom, fire flower, cape, star, or Yoshi. Those shell jumping tricks are just out of this world. One interesting note: Normally, the shortest way to get to Bowser’s Castle is to enter the first possible Star Road warp, in World 2. But because you need to turn into Big Mario to get past that first Star Road stage, Rezephos had to go a little further, beating Donut Plains and getting into the Star Road via Vanilla Dome, where you can progress without getting any power-ups.